Happy Hump Day. Before I got married, I did enhance my skincare routine by adding in a couple of trips to an aesthetician for facials. And boy did my skin thank me. I was long overdue to get my skin rehydrated and overall in a better spot. I have my wedding to thank for giving me the motivation to get my skin taken care of. We will admit the fact that makeup has been one of my guilty pleasures long before I was married. But since I was taking care of my skin in a better way, I decided to start using beauty products that made my skin looking and feeling great – long after my wedding. We’ve pulled together a collection of our favorite bridal beauty finds, and bonus: they are all under $50. 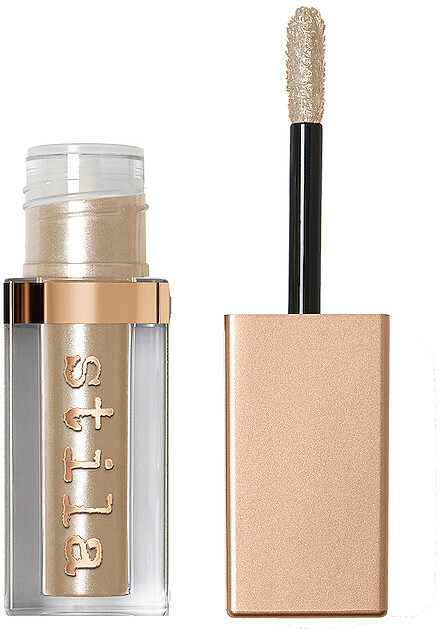 Stila Shimmer and Glow Liquid Eye Shadow. I’ve been a fan of Stila since before my wedding, but I recently discovered their liquid eye shadows. This has the shine, without all of the glitter. It’s not chunky, and goes on smooth. It’s a win in our book. Great for a bachelorette party or an evening bridal shower. Urban Decay Naked Smoky Eyeshadow Palette. Urban Decay has been my go-to choice for eye shadows since my wedding. They have so many great colors and palettes to choose from, but this smoky palette is perfect for your rehearsal dinner and any pre-wedding festivities. Go get this now – it’s less than $25, which is a win in our book. 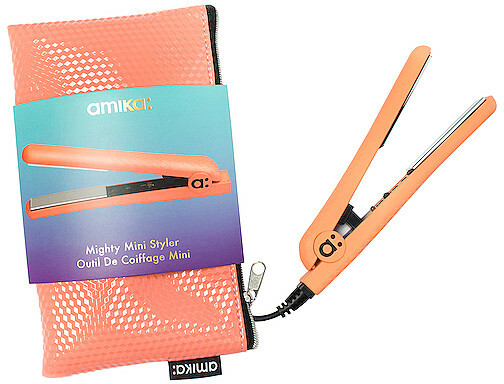 This Amika mini styler isn’t a beauty product, but it’s certainly a bridal beauty must have. It’s tiny, so you can take it with you for your travels. Maybe you are going somewhere beachy for your bachelorette party – or someone tropical for your honeymoon. This does the trick. It’s perfect for on-the-go hair straightening, fixing your bangs and even adding some curls. I might just grab a second one for my office. Girls, go grab it now while it’s less than $30. We think that getting married is a great time to take stock of how you are caring for your skin. I was good about washing my face, but not so great about exfoliating. Getting married was a great time to incorporate some weekly microdermabrasion into my beauty routine. My aesthetician recommended this product, and it is something I use to this day. This professional grade exfoliator leaves the skin soft, hydrated and healthy. It protects skin cells and fights free radical damage and polishes, purifies and cleanses. Pore Primer. Benefit is one of my favorite companies to buy from. They have great products that do wonders for your skin. This translucent formula leaves your skin oil-free. It acts as a great base for your foundation, and bonus: it blurs out those pesky lines. The fragrance rollerball became another favorite bridal beauty discovery. Because we had a semi-destination wedding, I couldn’t cart a full-sized bottle of my favorite fragrance around. The rollerball was the perfect solution. It was easy to carry, easy to travel with and still smelled great. This one is on sale for $22, and it’s a great scent for summer. The jury is still out on this product, but I know many of you rave about it. I’m still giving it a try, so I can’t completely vouch for it yet. I am liking what I see, but I haven’t been using it that long. Formulated with glycolic acid and ginseng, this cult favorite toning fluid gently exfoliates and re-energizes a lackluster complexion for radiant, healthy-looking skin. Aloe vera soothes and hydrates the skin. Refines the appearance of pores and accelerates cell renewal for a brighter, smoother complexion. At a sale price of $15 – now is a good time to try it for yourself. So there you have it, a roundup of our bridal beauty favorites today! Here is a graphic I created below that shows all of them in one spot.